This past weekend featured two highly anticipated tournaments that were bound to have a massive impact on the college dodgeball landscape this season. On both Saturday and Sunday, Akron University hosted “The War”, bringing in teams from three different regions to play in a two day tournament filled with exciting matchups. Also last weekend (on Sunday), Michigan State University hosted the Michigan Dodgeball Cup, a historic tournament that always has a huge effect on the league’s standings. This weekend did not disappoint! There were a number of very surprising results from the two tournaments, which is why I am dubbing it “Upset Weekend”. All 10 teams in the top 10 of the current Power Rankings were in action at one of the two tournaments! There were 9 total upsets on the weekend, out of 24 total games. 9 upsets is the most for any weekend in at least the past four seasons, and a 37.5% upset rate for the weekend is absolutely staggering. The War brought together teams from many different areas to compete at Akron University over a two-day stretch. It certainly did not disappoint. The War unfortunately did not have either of the top two teams in the country in attendance, but what it lacked in top end teams, it made up for by having 7 of the top 10 overall schools in college dodgeball. Outside of #1 CMU, #2 GVSU, and #8 MSU, The War had every other team in the top 10 Power Rankings. To start off the first day of competition, there were a few expected results, as JMU beat Miami, PSU beat West Virginia (in their induction match), and VCU took care of business against Akron. Then, BGSU took on PSU and had a tough time putting them away as that game ended with a 3-2 score. At the same time, Akron took down WVU with ease, helping the new squad transition into the NCDA with a friendly second half of play. Enter: drama. MAJOR drama. Saginaw Valley State was in town for The War, and their first game of the day came against (#3 power ranked) James Madison. The schools had met previously this year at “King of the Mountain, where the Dukes won in dominant fashion (4-0). This game was set up to be another win for JMU, as they seemed primed for a strong second half to the season. While JMU did have some early success in this battle, Saginaw Valley was the team that made the big statement on the day, and went on to win the game in overtime by a score of 4-3 (OT). This outcome set the stage for how these two teams would fare the rest of the weekend. Moving on to more games from WAR, Towson matched up with Kent State in another game that would have a huge impact on the standings. Towson was able to use ball advantage to dominate the contest, coming away with a convincing 4-1 victory. Meanwhile, two less talked about teams (Ohio and Penn State) battled in out in a rematch from Nationals bracket play. Unlike Nationals though, Ohio was victorious in this game, by a score of 3-1. That’s a pretty big for the Ohio Dodgeball program, because we all know Penn State is a talented team. Moving on, Kent State was set to play James Madison in what has historically been an intense rivalry. Kent came away with a very surprising 4-1 win over the Dukes. That is par for the course though, as the Golden Flashes hold an 8-2 record over JMU all-time. Quite an impressive win percentage over one of the best programs in the league. Miami grabbed a couple wins against WVU (4-0) and Akron (3-2), while BGSU and VCU battled it out in a close match to the score of 2-1 in favor of Bowling Green. Next premier match-up of the day was SVSU vs. Kent. Both had already claimed victories over JMU on the day, so this was a highly anticipated game. Saginaw Valley continued their hot streak by taking down Kent 3-1, setting up a day 2 game between Towson and SVSU to determine the outright winner of The War. In a game that should not go unnoticed, two evenly matched teams (ranked #9 and #10 in the Power Rankings) were set to battle it out to determine who deserved a higher place in the rankings. These two teams were Virginia Commonwealth and Ohio, and in this contest, VCU was able to brag the W, winning it 3-2. Now on to more drama… In easily the most controversial game of the weekend, Bowling Green State took on Towson. I don’t have as much info as many of the people in attendance, but from what I gathered, Towson held a 3-1 lead late in the game, but BGSU’s late push narrowed it to 3-2. With just over 5 minutes remaining in the game (according to Towson’s Twitter Account), the game was called due to gym restrictions. This is an extremely unfortunate circumstance, and can be used as a lesson that when short on time, the NCDA Rulebook does allow for each half to be shortened from 25 to 20 minutes. To finish off the results form WAR, Saginaw Valley State was able to claim another couple of victories, this time over Towson and Cleveland State, sealing their position as the top team at the tournament. JMU took a 4-1 win over Ohio, Towson earned wins over Ohio and Akron, and in the final match of the day, Akron beat Cleveland State 4-1. SVSU went undefeated at The War. The Michigan Dodgeball Cup did not have as many games as The War, and certainly not as many close final scores. The day began with a match between #2 (Power Ranked) Grand Valley State and #8 Michigan State. GVSU was able to roll in this one, taking a commanding lead and never relinquishing it. The final was 5-0. Game 2 from MDC was #8 Michigan State vs. #1 Central Michigan, and it resulted in another 5-0 final. This set up the most anticipated match of the day between the top two teams in college dodgeball, battling it out with the MDC Championship on the line. I will give more thoughts on this game later (maybe in an MDC specific recap), but to keep it brief, GVSU was able to finally beat CMU, doing so by a score of 5-1. The Lakers had their best performance of the season, getting out to a 5-0 lead before even giving up a point. The Lakers took home their 4th straight Michigan Dodgeball Cup Title, and 10th overall. Grand Valley State won the 2018 Michigan Dodgeball Cup with wins over MSU (5-0), and CMU (5-1). Now, time to dive into how this weekend has impacted the college dodgeball scene as we approach the final two months of the season. I will look at the official standings, and the monthly Power Rankings. The first thing that jumps out to me is the switch at the top. GVSU was able to climb ahead of CMU for the #1 spot after their win at MDC. Also worth noting is the massive leap made by SVSU, moving from #7 to #3 in just one weekend. Along with Saginaw’s jump, Towson also made an improvement, going from 6 to 4, moving ahead of BGSU, Kent, and JMU. Towards the lower end of the standings, Miami made a giant move from #24 to #17, while Ohio dropped just below Miami, moving from #14 to #18. Lastly, West Virginia enters the standings at #29 after their first tournament as a member of the NCDA. Now on to the more controversial stuff. How will these games impact the Power Rankings list that comes out at the start of every month? There appears to be a few different “tiers” in the league at this moment. Time to dive into each separately to discuss how the Power Rankings are being reshaped after last weekend. The most obvious dilemma in the Power Rankings that NCDA Executive Board member Jacob Leski and myself will put together at the end of the month will be picking who is the #1 team in the land. CMU sits at 19-1 on the year, but their most recent game was a blowout loss to Grand Valley State. GVSU on the other hand, is now 11-3 on the year, but coming off arguably the most dominant MDC performance any team has had over the past decade. The Lakers have lost to CMU three times this year (4-2, 4-1, and 3-1), but they are peaking at the right time as showcased by the most recent 5-1 result in their favor. So, that’s where we’re at. There are basically two ways to look at the power rankings, and our new list will depend heavily on which way we each look at it. One train of thought is to use recency as a major factor in producing your list of tops teams. If you consider power rankings to simply mean which teams are the best RIGHT NOW, then GVSU is likely going to sit at #1 on your list. On the other hand, if someone believes the Power Rankings list should take into account the entire body of work from each team, rather than strictly considering the hierarchy of teams as it would stand right this moment… well in that case CMU would remain atop the list. This brings up another point, which is that Power Rankings, while fun and entertaining, should be looked at in a different light than the actual standings. Understand that our official standings will be used to determine seeds for bracket play at Nationals, while the Power Rankings is simply a piece of content produced by the NCDA to spark conversation. 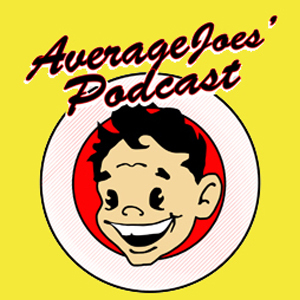 I won’t disclose what thought process Leski and I each have, but you will find out at the end of the month! Alright, so here’s where it get’s messy. We were lucky enough to see 6 matches between teams ranked 3-7 during the tournament hosted by Akron. Obviously, how each team fared against other teams within this group would matter significantly. This was a prime opportunity for each of these teams to make their case for being power ranked #3 in college dodgeball, behind the two titans that are CMU and GVSU. After taking a closer look at this list, it’s easy to see that if basing your judgement strictly off of who is the best RIGHT NOW, Saginaw Valley State should climb all the way to #3 in the rankings. SVSU took care of business over the weekend, going 3-0 against other teams listed. Towson had the second best outing, with their only loss being to SVSU. Kent would probably place third out of this group when looking only at the results from WAR after they beat JMU handily but fell to SVSU and Towson. As mentioned above, JMu did not have a great weekend, losing both games they played against an evenly matched opponent. Bowling Green State had only one game against teams in the 3-7 range, and it was a heartbreaking and controversial loss to Towson. So, that is where we are if we are looking strictly at this weekend. It gets even more confusing though, if we put a few more things into perspective. Yes, SVSU was dominant this weekend, and BGSU didn’t get any signature wins, but just one week before The War, BGSU took down SVSU 3-1 at the Ohio Winter Showdown. Also of note, Towson clearly had a better showing than JMU on the weekend, but the Tigers have yet to get the monkey off their back by beating their East Coast rivals. Is Towson the better team right now? Maybe. But I would like to see some results from them in a game vs. JMU to really solidify their spot. Well, things are going to change, but the question is: how much? VCU, as mentioned earlier, took down Ohio 3-2 at The War. VCU is now 7-7 on the year, while Ohio is 13-13. Both at exactly .500. 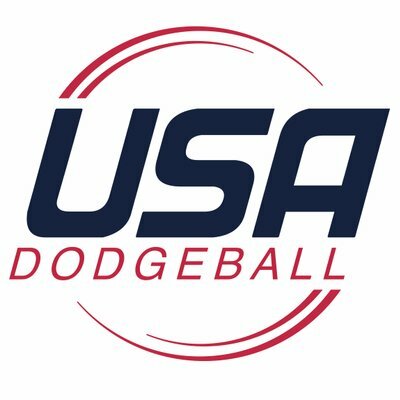 Michigan State on the other hand, showed flashes of greatness but ultimately fell short in their two matches this weekend against the top two schools in college dodgeball. I can’t fault MSU for the losses, but did they look strong enough against stiff competition to justify them remaining #8 in the country ahead of both VCU and Ohio? Where does everyone else stand? There were other teams attending these two tournaments that don’t fall within the current top 10 of the Power Rankings. #15 Miami is one of those teams. They are still a bit of a mystery to me as they lost to a more talented JMU squad, but were able to grab victories over WVU and Akron. #17 Penn State is another team in this discussion. They had a few opportunities to really make a case for a jump in the rankings, but unfortunately lost each of those games (3-2 vs. BGSU, and 3-1 vs. Ohio). Unranked Akron lost handily to VCU and Towson, but kept it close with Miami (3-2) while also earning a few wins (over WVU and CSU). Speaking of which, Cleveland State and West Virginia are clearly young teams still growing and improving. Earning a spot in the Power Rankings shouldn’t be a concern for them, but rather making improvements as a squad to better compete in the future. I am excited to see those schools grow over the next few years. That is all for my recap of how these two tournaments have impacted the league as a whole. Stay on the lookout for a WAR-specific recap article by Hunter Ford coming soon, along with an MDC-specific recap by myself.